Need to transfer mail and supplies between different branches and offices within your company? How about pickup and delivery of items between you and a complex network of your customers? How about both? 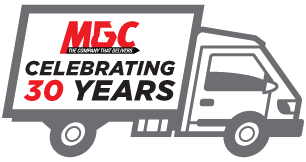 MGC can offer your business with an array of logistical services and solutions that save your business time and money while enhancing your ability to connect and communicate internally and with your customers. All of our clients’ present us with situations unique to their business model – situations that we are always available to service effectively and efficiently.